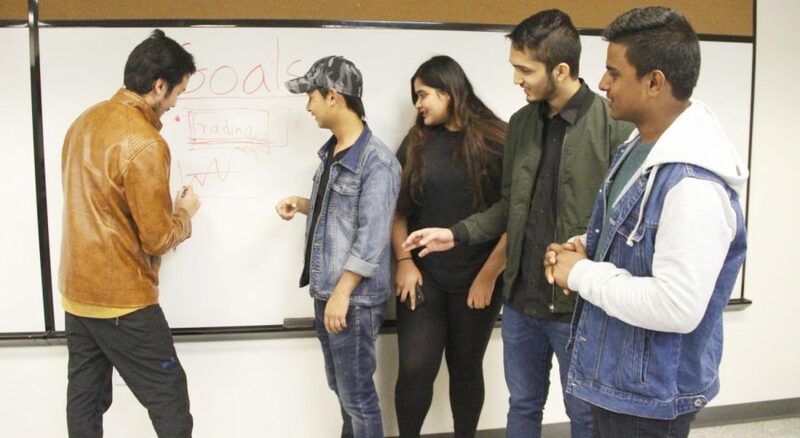 Prashant Basnet, a sophomore informational technology major, talks about goals with fellow sophomores Shawn Lama, a computer science and mathematics double major, Nikita Thapaliya, Alish Dhamala and Bishwa Bista, computer science majors. A person’s goals tend to change as they mature, and the dreams of their childhood give way to more realistic and attainable ideas. “I wanted to be a writer, zoologist or secret agent,” said Callie Icenogle, a senior English major. 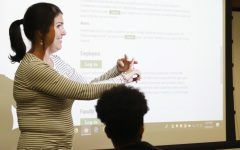 Though Icenogle’s ambitions no longer include becoming a zoologist or a secret agent, she hopes to become a counselor and incorporate writing as a method of therapy. “I still love writing and have book ideas, but the longer I’ve been around, the more I want to focus on encouraging people and helping them overcome fear, insecurity and depression hence the counseling,” shared Icenogle. Dr. Susan Coats, head of the Department of Psychology, believes growing up is all about change. Dr. Alexandra Freund, professor of psychology and chair of developmental psychology at the University of Zurich, studies motivation across life spans and lifelong learning. According to her research brief, people form age-related goals based upon social norms and expectations as well as personal experiences and values. In an article titled “Age-Differential Motivational Consequences of Optimization Versus Compensation Focus in Younger and Older Adults,” Freund argued that young adults focus on gains and performance, while older adults set goals to counteract losses. College students, concerned with gaining knowledge and improving performance, provide glimpses into why people change their goals over time. Morgan Hebert, a sophomore English major, wanted to be a veterinarian when she was a child. She described why she changed her mind. Icenogle felt pressured from relatives when choosing her career path. A change in a person’s goals can also alter the course of established careers. A study in the Journal of Organizational Behavior titled “Age effects on the predictors of technical workers’ commitment and willingness to turnover” sampled 3,000 technical professionals from six large companies to investigate why employees leave their employers. The research suggests people experience three or four phases during their working lives, and each phase is associated with different goals. People mid-career valued opportunity for advancement. Those at later career stages were more likely to change jobs for location, cost of living or personal values. Icenogle foresees her goals changing in the future based upon her own growth and understanding of her field. “They’ll probably become less generalized and more specific,” stated Icenogle.